For your convenience, we have divided our listings into several categories. 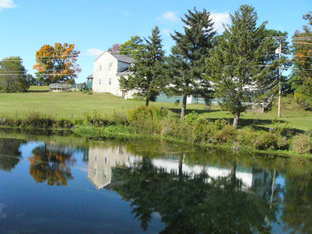 Under "Listings", click on the sub-menu for "Country Living", which features our non-commercial country property. "Farms" will bring you more commercial farm properties, for both full and part-time enjoyment. And in "Acreage" you'll find tracts of land without homes. Within the sub-menus, properties are arranged by size. The "VC Owned Property" properties are those owned by the Vinyard family. They are every much for sale as any other listing, but we do not want to mislead anyone on the ownership. Be sure to look them over as well. Regardless of which property you select to buy, you will be treated fairly and one property will not be "pushed" over another. It only suits us if it suits you.